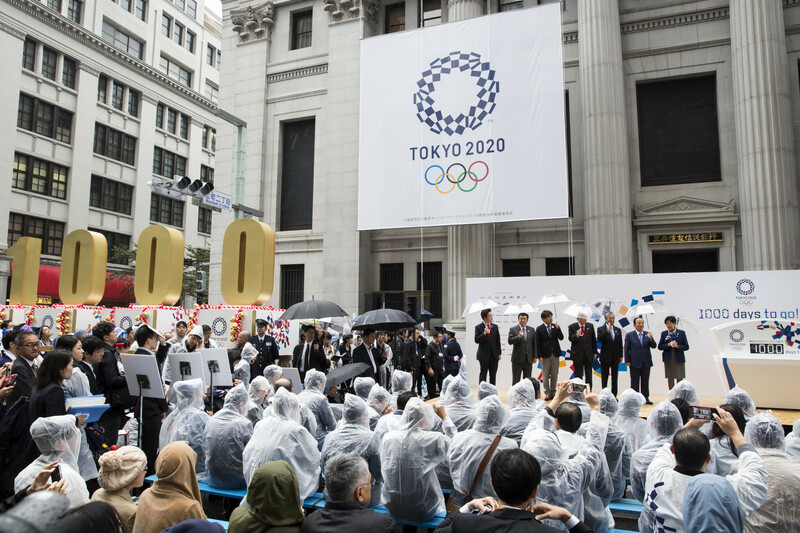 A series of events have been held in Tokyo today to mark 1,000 days until the start of the 2020 Olympic Games. Olympians and Kabuki actor Ichikawa Ebizo led the way for four festival floats in the capital's Nihombashi district in heavy rain, aiming to build up the excitement for the Games returning to Tokyo for the first time since 1964. During the event, four floats displaying the symbolic numbers 1, 0, 0, 0 were carried along the main street in an event watched by an estimated 15,000 spectators, despite the poor weather. Tokyo's Governor Yuriko Koike and Olympics Minister Shunichi Suzuki joined Ebizo and the athletes, including swimmer Ryosuke Irie, winner of three medals at London 2012, two silvers and a bronze, and weightlifter Hiromi Miyake, a silver and bronze medallist at London 2012 and Rio 2016, to reveal a countdown clock that will be placed in the city's Metropolitan Government building in Shinjuku. 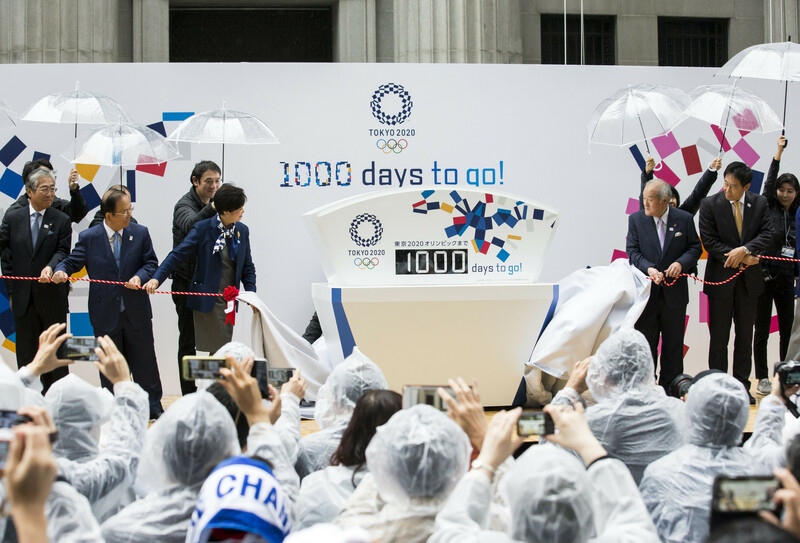 "It's finally 1,000 days until the Olympics," Koike told Japanese news agency Kyodo News. "I want everyone to become excited and become engaged." After watching demonstrations by athletes, the public had the opportunity to try out 3x3 basketball, BMX freestyle and skateboarding – three sports that will make their first ever appearance in the Olympic Games at Tokyo 2020. 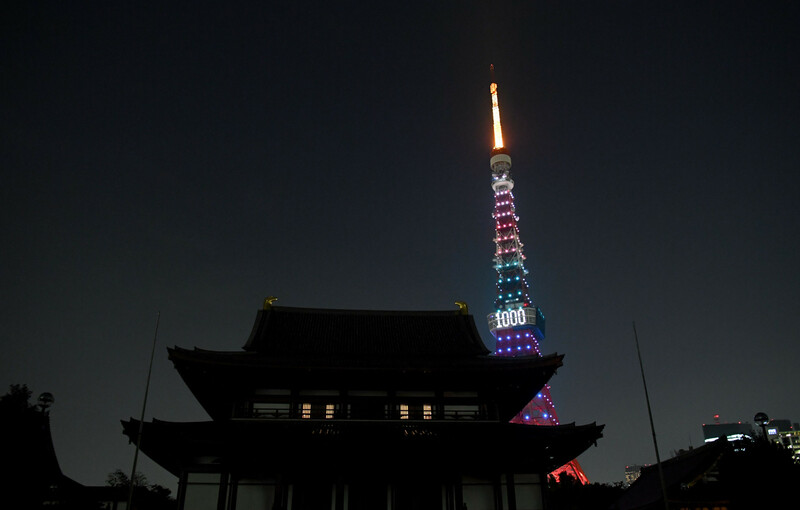 To further mark the 1,000-day milestone, the landmark Tokyo Tower and Tokyo Skytree, as well as the Tokyo Metropolitan Government building were specially illuminated tonight. In addition, Tokyo’s historic Nihonbashi district and metro stations across the capital have been decorated with new Tokyo 2020 graphics and images of sporting events. Today’s events marked the kick-off of the month-long "1,000 Days To Go" celebration, which aims to further boost public engagement in the Olympic and Paralympic Movements. More cultural, sporting and educational events will take place in Japan over the weekend and throughout the coming month until November 29, when it will be exactly 1,000 days until the Opening Ceremony of the 2020 Paralympic Games. Suzuki, who took over as Japan's Olympics Minister in August, hopes the events will help fire the enthusiasm of the public. "The key to success of the Tokyo Games is for people from all over Japan to be interested and become willing to be involved in them," Suzuki told Kyodo News. "With 1,000 days to go, the Japanese Government, Tokyo and the Games' Organising Committee will work together as one to make the Olympics a success." Tokyo 2020 claimed today that five million people throughout Japan have already taken part in more than 14,000 Games-related actions in the Tokyo 2020 Nationwide Participation Programme launched last year. The ambitious Programme includes initiatives in eight categories: sport and health, urban planning, sustainability, cultural Olympiad, education, economy and technology, recovery and nationwide benefits. 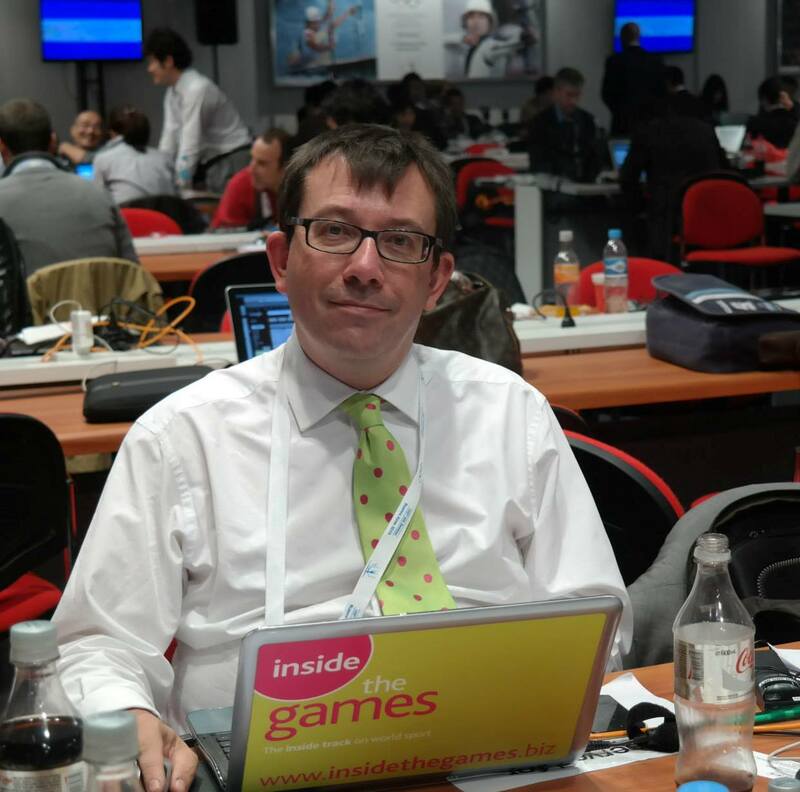 "The more people have the opportunity to participate and feel involved during the lead-up to the Games, the stronger Tokyo 2020’s legacy will be," said Tokyo 2020 spokesperson Masa Takaya. "We want the 2020 Games to inspire new generations to practice sport more and to live by the Olympic and Paralympic values. "Our various programmes have allowed us to engage with five million people already and we will intensify our efforts over the next 1,000 days."